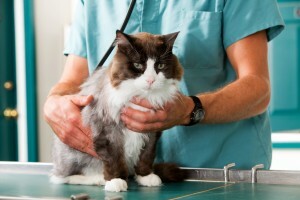 your pet’s treatment plan for a variety of diseases and illnesses. HBOT is an excellent adjunctive treatment for many conditions including bone infections (osteo my elitis), dental infections, skin infections, bite wounds (dog, snake and spider) and wounds with resistant bacteria. Many inflammatory and autoimmune conditions show a good response to hyperbaric oxygen therapy as well, such as vacuities or arthritic diseases. When a patient undergoes HBOT, they are first given a physical examination in order to be deemed stable enough to receive treatment without any intravenous fluids or medication administration. Once the chamber door is sealed, we begin to increase the pressure in the chamber over a time period of ten to fifteen minutes. We constantly monitor the patients to make sure they are as comfortable as possible, and make adjustments if need be. If a patient seems uncomfortable, we simply slow the progression of the treatment and allow them time to adjust. Once the chamber is at the appropriate therapeutic pressure, the patient is treated for forty-five to sixty minutes, and then slowly decompressed again over ten to fifteen minutes. In its entirety, these safe and painless treatments usually last about an hour, in which the patients typically rest and relax while the pressurized oxygen is absorbed into his/her bloodstream. Hyperbaric oxygen therapy works, at its most basic level by accelerating the healing process and increasing the concentration of oxygen within the patient’s bloodstream. Instead of breathing normal room air, which is a mixture of gases, the patient breathes 100% pure oxygen.